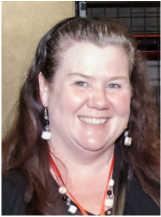 Megan Stone is a Psychic Medium working through clairaudience, clairsentience and clairvoyance abilities. Megan has been running her business, Blessed Pathways, for 2 years in Western Sydney. Megan offers oracle and tarot readings along with her mediumship and is currently learning palmistry. 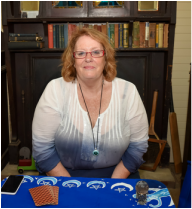 Being her 3rd year at the expo Megan is very excited to be of service providing messages from spirit and psychic readings through cards in the reading room this year. 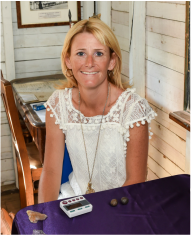 ﻿My name is Cathy and I have been working as intuitive angel healer/ reader since starting my own business ‘Path to Your Soul’, in 2010. I specialize in energy healing, chakra clearing, intuitive readings and life coaching. I work in collaboration with the angels, loved ones in spirit and guides to provide and inspire messages of healing, guidance and light to all. I am delighted to be able to share my gifts with so many which offers much needed insights for everyone to lead a healthy, balanced and fulfilled life. Lisa has been working professionally for ten years however communicating with spirit since early childhood. Currently working at JoPo Feng Shui & Crystals in Revesby as a reader, teacher and facilitating a psychic development circle. I first became aware of my psychic abilities at the age of 13 when I found myself deep in conversation, face to face with my deceased grandmother. I am please to say I have now been actively pursuing my craft for over 30 years. Belinda's insight helps bring light to your inner wisdom, to guide the way for your authentic self to shine. 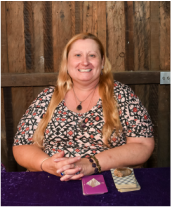 Belinda has been reading oracle cards for 10 years and is a certified Reiki practitioner; therapeutic massage therapist; and certified Crystal Healer. The readings she offers are received claircognisantly, and given to her clients with the utmost love and respect. The purpose of these readings is to provide greater insight, clarity, healing and support to you along your unique and beautiful journey. 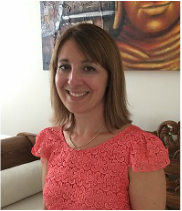 Georgina is an intuitive and receives messages and guidance through clairsentience and clairaudience. She is a certified angel card reader and will tap into your energy and angels to give you readings as permitted by your higher self. During your reading you can ask for guidance on which ever topic or query you wish. The answers you will receive will be what you need to know right now from the Universe as you stand in this point in time in your life. I am a clairvoyant Medium and have been since i was a child. I do Intuitive readings by channeling your energy and speaking to your guides. Mediumship is my specialty, speaking to your deceased loved ones to bring you messages of love and healing. I also read Tarot Cards, Angel Oracle Cards and am blessed to be able to do Palmistry..I will read the lines in your hands yo help guide you on youre future path. As a Psychic Medium, Sam first became aware of his ability in his mid–teen years. He can help you connect with loved ones who have passed or help guide you on your life journey. 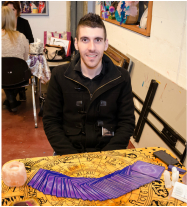 Readings include an in-depth overview of your past, current and future life path as well as Sam’s specialty of connecting to friends and relatives that have passed. As part of the reading you can choose what you would like to discover, although the Universe does sometimes deliver information that you are meant to hear. ﻿Janne is a Psychic Medium, Channeler, Reiki Master, and Tarot and Rune Reader, who sees, feels and hears what spirit wishes to convey to you Even if you have never had a reading before, Janne’s down-to-earth approach & caring manner will put you at ease. You may find that Janne will uncover aspects of yourself that even you may not have fully realized. Working with her spirit guides, during a psychic reading, Janne combines Tarot & Runes as well as channeling any messages that may come through for you. Her aim always, is to assist you to achieve greater clarity and peace of mind. When connecting with your loved ones in spirit, you may if you wish, provide an object that belonged to them, and Janne will use psychometry to help strengthen the connection. 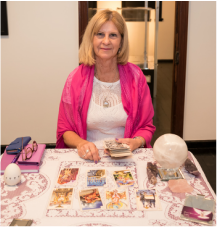 Trish works from the heart with love and gratitude and in conjunction with the energies of the heavenly realms to provide insight & guidance to help you with your life’s journey, enabling you to make independent decisions and stand in your own power. 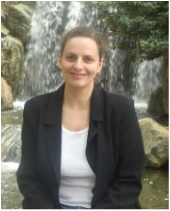 MariaK is a Psychic Medium who is Clairvoyant, Clairsentient & Clairaudience who is able to channel messages. She assists her Clients by providing them with guidance and support in a safe, relaxed and empathetic environment. Clients often seek Maria’s assistance when they are in need of guidance, Spiritual counselling and support in the areas of their life relating to emotional well-being, life direction and decisions, health, romance and relationships. Maria’s readings are done with the highest respect for her Clients and Spirit Guides. It is always her intention to read with the purest of Love, Compassion and Guidance. 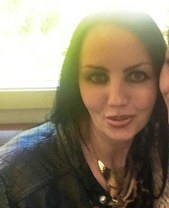 Maria’s unique talents are to read people’s Signatures, Psychometry and Photo readings. She also uses Oracle and Angel cards, The Gilded Reverie Lenormand & The Modern Oracle; she is a qualified Angel Intuitive and Card Reader. For Maria, the process and aims of a reading are not only to provide guidance and support for her Clients in addressing the difficult situations and decisions they may face in life, but to also help them stay positive and maintain their Spiritual faith, as well as occasionally providing assistance with healing of the self. 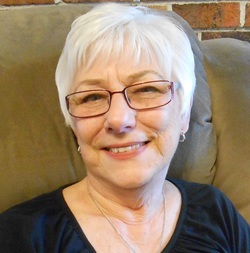 Crystal has been reading professionally for others for over 33 years. She is a Psychic Medium, Universal Trance and Angelic Channel, Reiki Master/Teacher, Teacher of Metaphysical subjects, and Artist and Author. She has 23 publications in print, which include 'Working with the Archangels', 'Psychic and Spiritual Development for the New Age', and many others. She also writes Romance and Paranormal Action Adventure Fiction. Spiritual Tranquility Oracle was featured in "That's Life" magazine in 2014. Crystal will use all of her abilities to bring you the answers you seek in your reading. She reads for you with Empathy and Love, and only connects with the Highest Beings to assist you. Crystal may use her natural Clairsentient and Clairaudient abilities, Tarot, her Oracle and Angel cards and/or Mediumship in your reading. Past lives, Angelic/Spirit Guide Communication, Life Purpose, Tarot, Oracle and Palmistry.